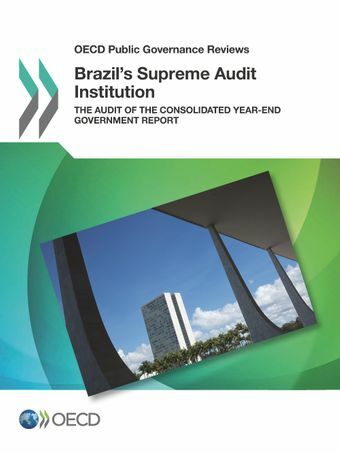 04/12/2012: Brazil’s supreme audit institution – the Federal Court of Accounts (TCU) – has begun a process to reform its audit of the Accounts of the President of the Republic to enhance transparency and accountability of federal budget execution. “By explaining the significance and benefits of its audit results and recommendations, Brazil’s Federal Court of Accounts will better mobilise the Congress and citizens to demand improvements in the integrity of government reporting” said Janos Bertok, Head of the Public Sector Integrity Division of the OECD. “Integrity in government reporting is a necessary precondition for enhancing accountability and informed government decision making”. Read the full speech. Aligning the audit opinion on the Accounts of the President of the Republic with international audit standards of clarity and readability, as well as highlighting the benefits of action - and consequences of inaction - will help the federal executive decide which reforms to target. It will also equip the National Congress and citizens to monitor improvments in the government accounts. Redesigning the TCU audit report focus on evidence underpinning the main findings and how these findings were reached will support discussions on government accountability. The link between the TCU report and its main findings is relatively low. This situation risks that the TCU diverts attention from its main findings (Figure 1). An explicit communication strategy for this audit will help the TCU to define primary target audiences as well as to identify communication objectives, refine key messages and select an appropriate communications mix for each of these audiences. Attention should focus specifically on the National Congress which only begins to review the Accounts of the President more than two years after the completion of the TCU audit (Figure 2).